One of the most asked questions we hear at the Wolfson Law Firm is “How long will my Miami car accident case take?” or “How long will my slip and fall case in Miami take?” The answer depends on the facts of your case. It also depends on the type of case as well as a number of other factors. The first question is who is responsible? If it was a governmental agency, then you will have to give that agency 6 months’ notice that you intend to file a lawsuit. You have to wait 6 months to file suit or it will be dismissed. If it was a private individual or corporation, then you aren’t required to give 6 months’ notice. In fact, if you were injured in a car accident with a private person you could theoretically file the lawsuit that same day. But that rarely, if ever, happens. All personal injury cases have a time limit in which to file a lawsuit. Generally, medical malpractice cases must be brought within 2 years of when you knew or should have known that malpractice happened. To sue for wrongful death you have two years from the date of death. If you are hurt in a car accident then you have 4 years to file suit. You have the same 4 years to file suit if it is based on the negligence of a person or company such as premise liability, slip and fall, trip and fall, or any other type of negligence. Breach of contract cases can be filed up to 5 years after the breach. This includes claims for uninsured/underinsured motorist benefits. Most clients don’t want to know how long they have to file a lawsuit but rather how long the whole process will take. Parts of a personal injury case are actually within the control of the client. The client decides if a lawsuit is filed. The client decides when to settle. Once the lawsuit is filed outside factors come into play. There is the judges’ schedule. There will probably be at least one defense attorney in the lawsuit so that is another schedule to consider. In general, we recommend to clients to file a lawsuit as soon as practical. The reason we do that is once litigation is filed we can ask for a trial date. Once the case is set for trial, then the Court will order the parties to go to mediation. A majority of cases settle at mediation. If a case doesn’t settle at mediation, then at least we have a trial date when the case can be resolved by settlement or by verdict. Keep in mind, the longer it takes for a case to resolve the longer the insurance companies keep the money. So time is the friend of insurance companies in most cases. Time can be the enemy of plaintiffs. Cases do not get better over time. Life goes on and circumstances change. Witnesses disappear or forget critical facts. Plaintiffs get worn down with the waiting and they lose hope. That is why the Wolfson Law Firm usually recommends a lawsuit be filed sooner than later. It puts the insurance company “on the clock” that this client’s personal injury case will be resolved by settlement or verdict at the time of trial. So to answer the question most clients ask about how long their case will take – the answer is in the trial date. The sooner you get a trial date the sooner you case will be over either by verdict or by settlement. At Wolfson Law Firm, our Miami personal injury attorneys can help you move your case to settlement or verdict. 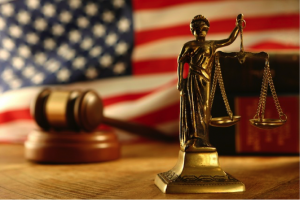 We routinely receive cases referred by other attorneys for litigation and trial. Call us at 305-285-1115 to set up a free consultation with a personal injury attorney. Wolfson Law Firm also represents accident victims in West Palm Beach, Fort Lauderdale, Davie, Aventura, Miami, Coral Gables, Coconut Grove and other cities throughout South Florida.